TV shows by American broadcaster and production company HBO, including Game of Thrones, True Blood and Boardwalk Empire, are now available to purchase from the Google Play store in the UK. To begin with, the digital marketplace will stock the first three seasons of Game of Thrones and Boardwalk Empire, the first six seasons of True Blood Seasons, the first two seasons of Girls and season one of Veep. Other critically-acclaimed shows from HBO’s back catalog, including military dramas The Pacific and Band of Brothers, as well as The Wire and The Sopranos will be landing later this month. Some of its latest programming, such as Banshee and the first season of The Newsroom, will arrive early next year. 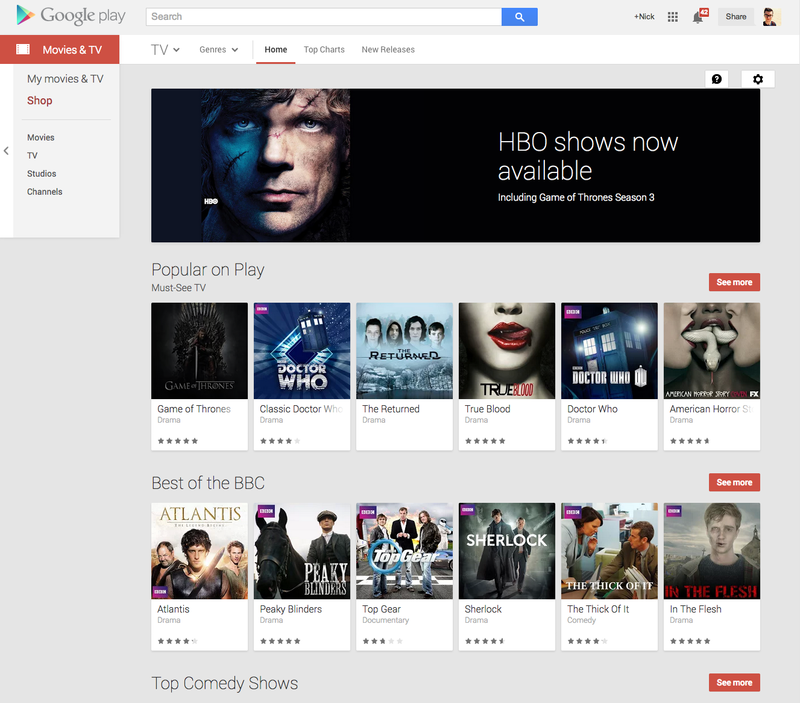 HBO shows were added to the Google Play store in the US last month.